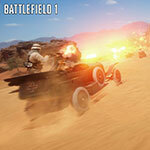 STOCKHOLM, Sweden--(BUSINESS WIRE)--Today DICE, an Electronic Arts Inc. (NASDAQ: EA) studio, announced the Battlefield™ 1 Open Beta* will begin August 31st on Xbox One, PC via Origin™ and PlayStation®4. Players who sign up as a Battlefield Insider and choose their platform before August 21st will be eligible to receive early access to the Open Beta. 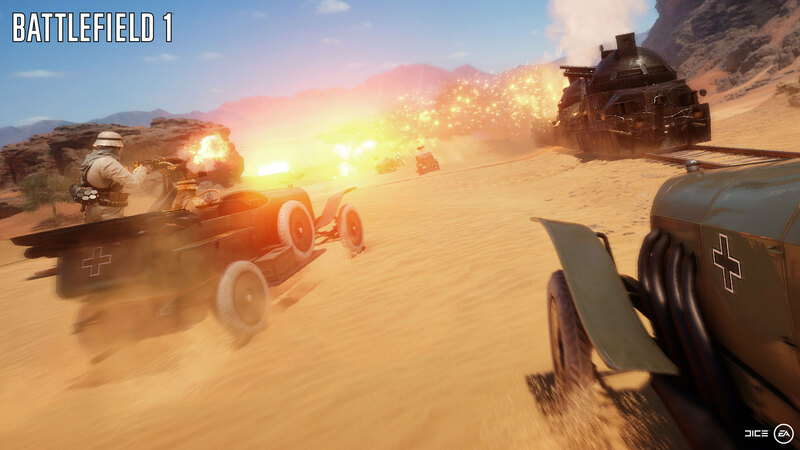 The Battlefield 1 Open Beta will feature two franchise favorite modes – Conquest and Rush – on the new Sinai Desert map. Playable with up to 64 players, this map includes a new controllable Armored Train behemoth, ridable horses and three new Elite Classes – Sentry, Flame Trooper and Tank Hunter. For more information on Battlefield 1, please visit www.battlefield.com or join the conversation on Facebook, YouTube, and Twitter ®. Press assets for Battlefield are available at http://info.ea.com. **Conditions and restrictions apply. See www.battlefield.com/disclaimers for details. ***CONDITIONS, LIMITATIONS AND EXCLUSIONS APPLY. SEE http://www.ea.com/eaaccess AND http://www.origin.com/store/origin-access FOR DETAILS. EA, EA SPORTS, Origin, The Sims, Dragon Age, Plants vs. Zombies, Battlefield, and Battlefield 1 are trademarks of Electronic Arts Inc. and its subsidiaries. John Madden, NFL, NHL, NBA, PGA TOUR, UFC and FIFA are the property of their respective owners and used with permission. “PlayStation” is a registered trademark of Sony Computer Entertainment Inc.